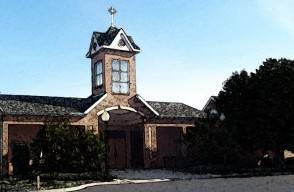 For over 50 years, St. Mark’s Church has been recognized as a place of worship, love, and community. Through this campaign, it is our plan to ensure that our church and parish facilities continue to endure for the families of today and future generations. We are the beneficiaries of a magnificent inheritance from previous parishioners of St. Mark’s Church. Through their sacrifice and generosity we worship, learn and socialize in a parish setting rich in beauty and history. Now, our Parish Capital Campaign will help us to build on the foundation laid by those good and faithful parishioners, many of whom have now gone before us. Today, it is our sacrifice and generosity that will enable us to pass on to the next generation the belief and traditions that have given our lives meaning and purpose. It is our daily and weekly Celebration of Mass, as well as our celebrations of Baptisms, Reconciliation, Weddings and Funerals, that allows us to be touched by the grace of God and to find in God our source of true joy, happiness and peace. Replace roof over Old Church, West Side of Hall Flat roof, and Hall. Please consider contributing to our Parish Capital Campaign.